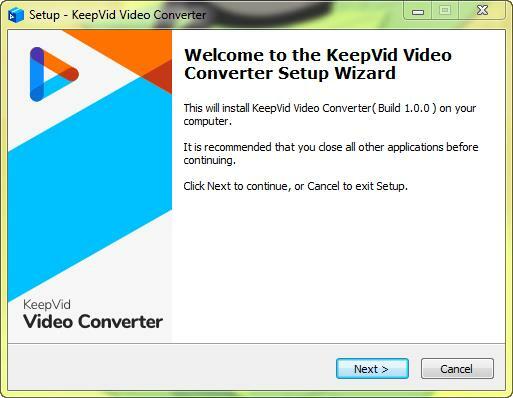 Note: We are going to write here the whole guide of KeepVid Video Converter. We own Windows as well as Mac versions and here we will present you the steps for Windows. Mac will also be having the same steps until there is no special note or remark. Let us follow the guide below. 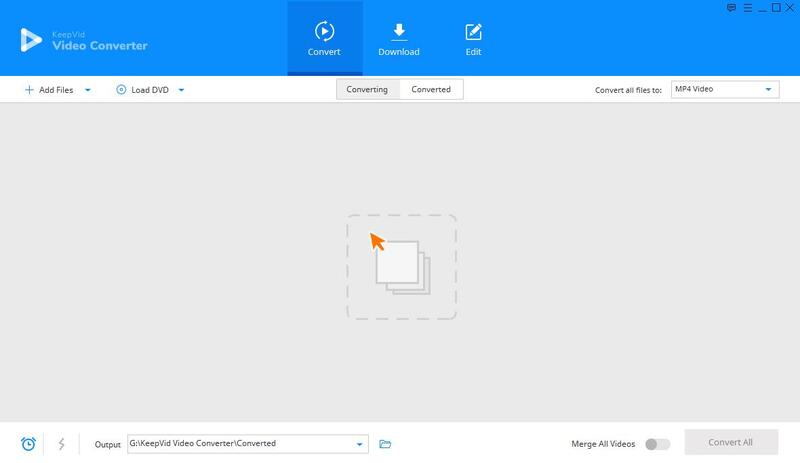 For using KeepVid Video Converter in a smooth way, you need to follow 4 things to get started. They are: Install, Register, Basics and Settings. 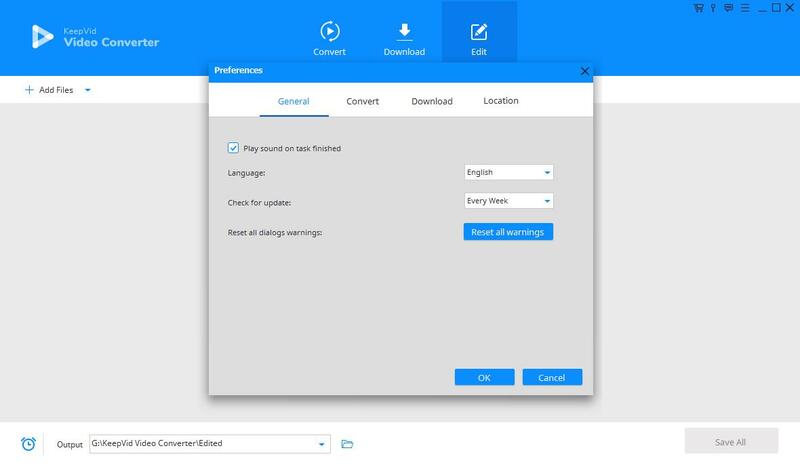 Choose the desired language from the pop-up window and click on OK. KeepVid Video Converter is able to support 8 languages which are English, German, French, Portuguese, Spanish, Italian, Japanese and Arabic. After choosing the language, get into the Welcome page and hit Next to proceed. The next window will provide the end user license agreement. Read it and hit “Next”. 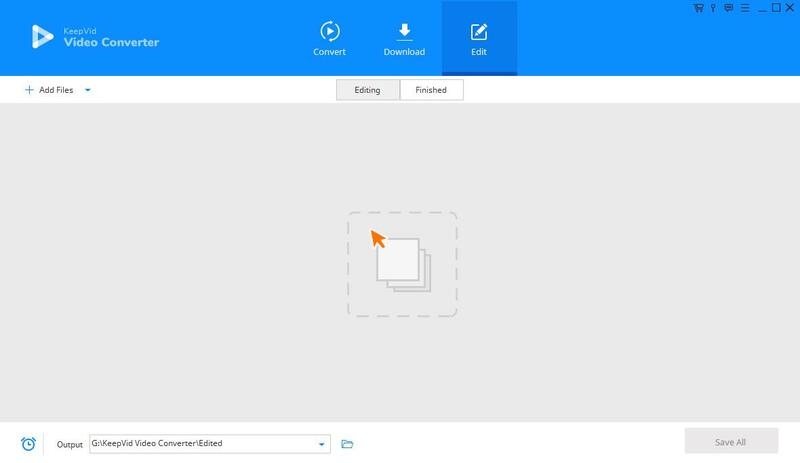 Now, browse the target folder to save the installation files. Subsequently, click on Next and come to the Select Additional Tasks window. Here, check the option of “Create a desktop icon” if you want this. Once done, hit Next and enter the Ready to Install window and lastly click on Install for completing installation. After a few seconds, the program will be installed successfully. Now, hit Finish button for opening the program. 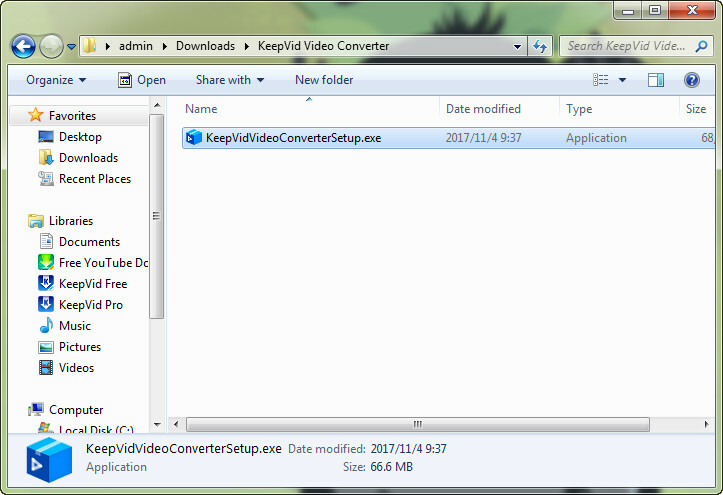 When you click the button, the KeepVid Video Converter’s main interface window will come up on the screen. 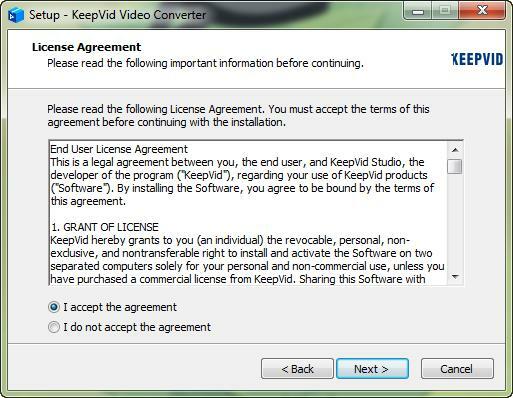 Since you are using a trial version for the KeepVid Video Converter, you’ll be experiencing the following limitations. 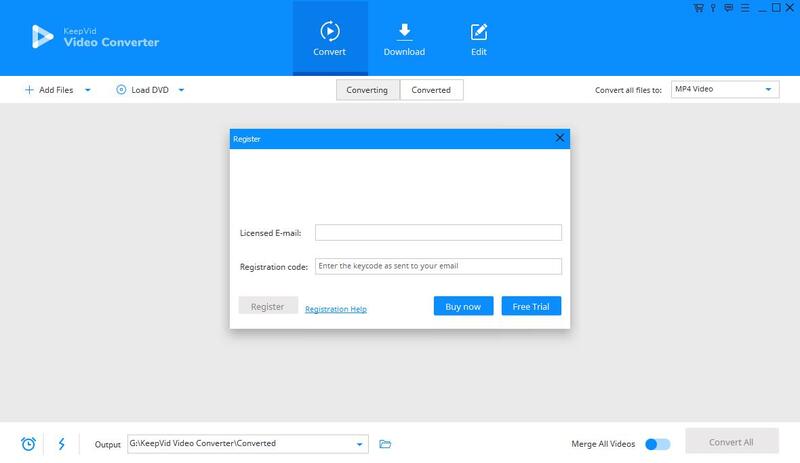 If you wish to access and enjoy the premium features of KeepVid Video Converter without any restrictions, just hit the purchase button on the top right corner to purchase the KeepVid Video Converter from its official website. Or, if you already own a software license key, simply hit the key icon next to purchase button on the top right corner to open the Register window. Now, in the Register window, punch in the licensed E-mail address in the specified field and copy the Registration code supplied to you when you purchased the product and paste into the respetive field. Once done, hit on Register button to get your software activated with your license key. Meanwhile, make sure that you stay connected with the Internet till the time your registeration code is being validated with the KeepVid Video Converter's servers. Upon successful validation, you'll get a prompt that says registration successful. 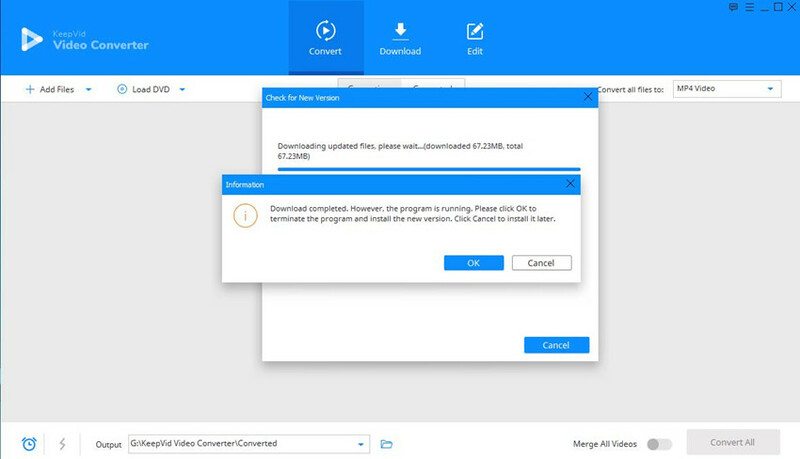 If you wish to check your KeepVid Video Converter is up to date or not follow the below listed steps to verify your version status or also if you wish to update the software automatically. Step 1 Get into General settings. Tap on the Menu icon on the top-right corner > Preferences > General. From there, choose the preferred time span to set automatic checking for updates from Every Day, Every Week, Every Month or Never. Step 2 Set the Update parameter. On choosing check for updates automatically to every day, an update window will appear where you are required to choose Update Now option. Step 3 Update the package. As soon as you download the newest version, click on OK for program’s termination and them install the fresh version from the window that has popped up. 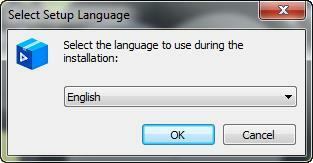 Or, if you don’t wish to install at that moment, you can skip this by clicking on Cancel. Note: If you feel good & comfortable with the old school version and wish to stop the automatic update, please select Never. Or, in case you feel like changing your mind and get the software updated, push on Check for updates under Menu to manually update your software. 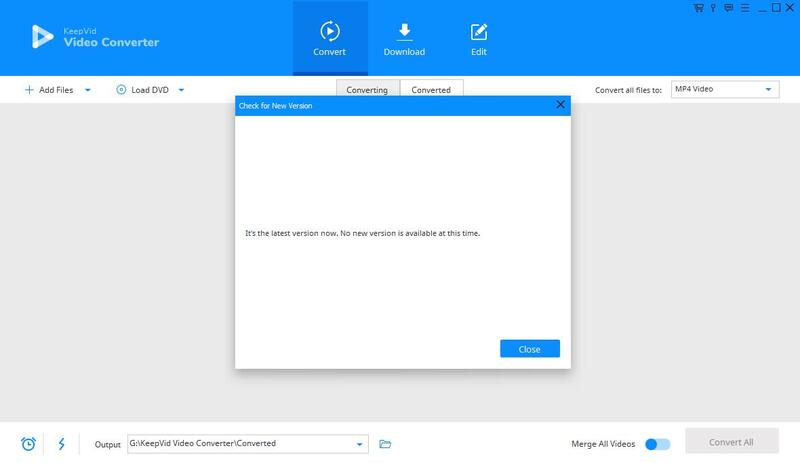 Launch KeepVid Video Converter now on your PC. You will get the main interface on your screen where you'll notice a total of 6 modules that you can operate with. 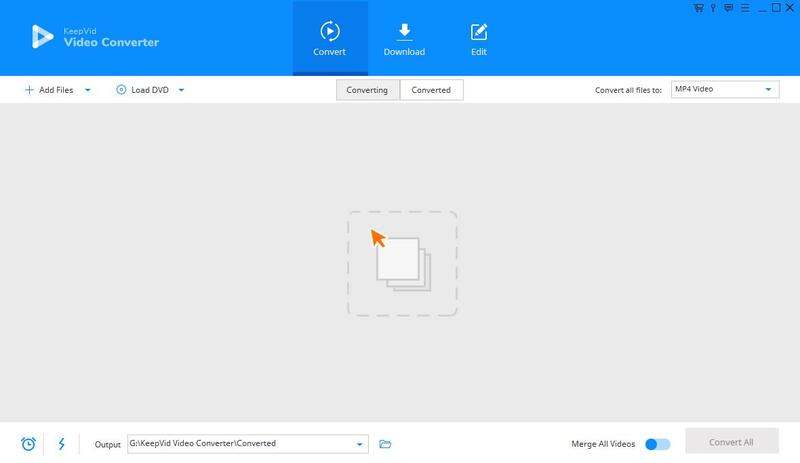 The Convert section enables you to convert videos to different file formats along with editing features, i.e. trim, crop and applying effects to your videos prior to their conversion. For your convenience, there are two different tabs in the Convert Section namely Converting & Converted which separates the converted videos from the converting videos. 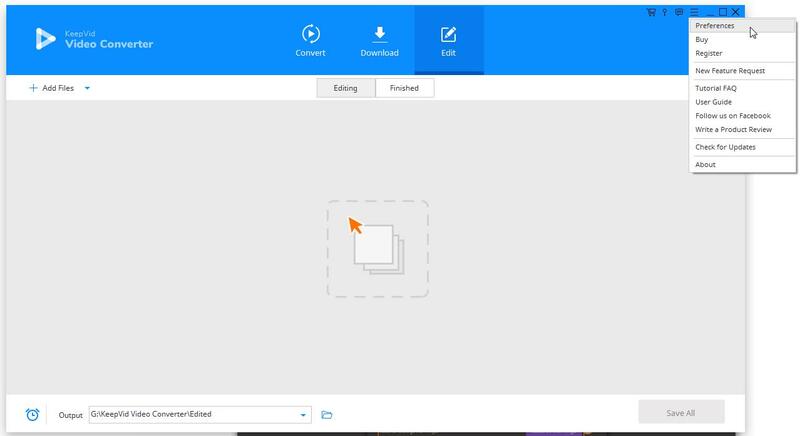 Next is Edit section, users are enabled to edit videos prior to conversion using the different editing functionalities like trimming, cropping, adding watermark and more. 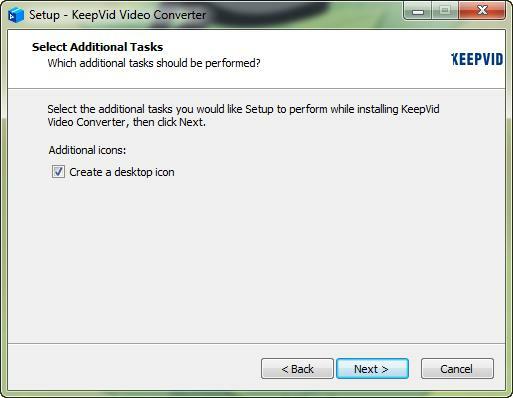 It is recommended to set up KeepVid Video Converter to use it in a better way. 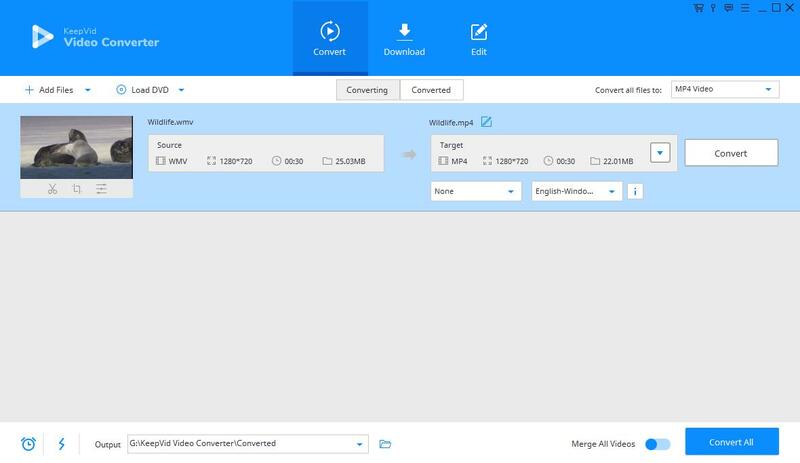 Therefore, set all the preferences after launching KeepVid Video Converter. You can alter those by Menu > Preferences. 1. You can set a sound reminder on completion of task which means you will get the reminder when your task gets complete. For this, keep checking the default option. And if you don’t want these, turn off that check. 2. You can set the preferred Display Language from 7 different options in KeepVid Video Converter. 3. Here, if you want to update the software automatically, set the Check for updates automatically. You can set the frequency of checking update versions as well. 4. Hit Reset all dialog warnings in order get all the pop-up warning dialogs resetted to their original settings. The Convert tab of the interface will provide you the opportunity to manage conversion parameters and assistant conversion features. 1. Firstly, check the Automatically add files to iTunes library after conversion if you want to get the files added after conversions into the iTunes Library. 2. Next is, setting Keep Chapter Marker for the purpose of keeping the chapter information on the DVD in case of conversion of DVD into other format. This will help in keeping the information in the converted videos instead of removing the information. 3. For increasing the conversion speed enable the GPU option by checking Enable GPU Acceleration. 4. Check Run in compatiblity mode in case you wish to convert the video with compatibility settings. 5. 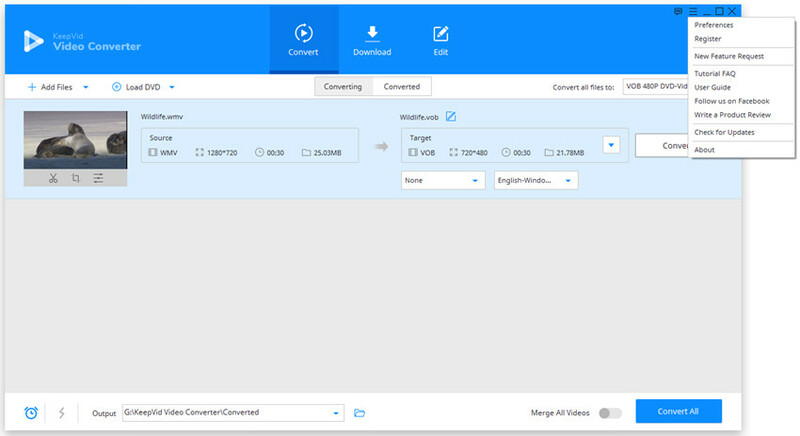 Here, you can set Maximum converting task to change 2 for simultaneous conversion. 6. The Reset button at the bottom left corner allows you to reset the conversion settings into factory settings. Hit OK in the last to keep the settings same. How to Convert Videos to Any Format? How to Convert DVD to Videos? How to Convert Video for Mobile?